ViVitro Labs will highlight the ViVitro Endovascular Simulator, SuperPump, and Pulse Duplicator with Model Left Heart for cardiovascular device testing and research in booth 10H47, Hall 10 at Medtec Europe 2018 from 17-19 April in Stuttgart Germany. Douglas Bigrigg, Major Accounts Manager, ViVitro Labs, will be on hand to demonstrate products and answer any questions. Vincent Garitey, VP of Engineering of ProtomedLabs SASU, ViVitro’s European sales agent, will also be available at the show. The Pulse Duplicator simulates the function of the heart (left or right) by generating pulsatile flow through prosthetic heart valves placed in the Model Left Heart. Powered by the ViVitro SuperPump, it is composed of the Model Left Heart, SuperPump, Flow Measuring System and ViViTest data acquisition system. 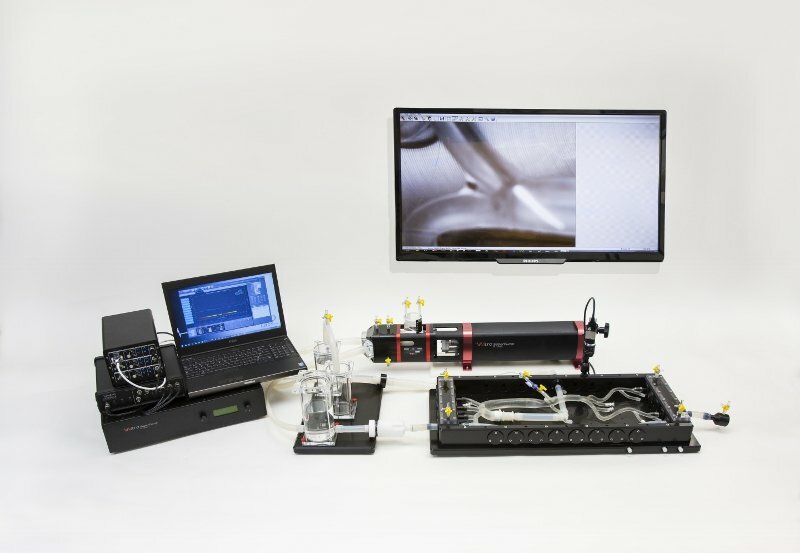 The components work together to assess the performance of prosthetic heart valves under simulated cardiac conditions. The Pulse Duplicator System is used by the US Food and Drug Administration and is recognised by regulatory bodies worldwide including TÜV, BSI and the Chinese SFDA. 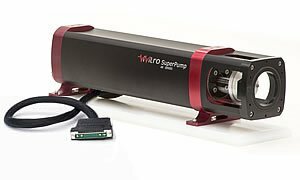 The ViVitro SuperPump is a digitally controlled hydraulic piston pulsatile pump that creates physiological cardiac flows. Unsurpassed in reliability, functionality, and versatility, the AR Series digital technology provides maximum control with precision accuracy and works with ViVitro or independently produced accessories. The SuperPump provides maximum operator control with precision accuracy. The pump can be controlled by preconfigured waveforms or by customizable ViViTest software input. Medtec Europe is the leading B2B event for decision makers and health care professionals of the European Medtech Industry to source Innovation and Technology. The show brings together medical device companies and advanced technology providers to discuss and share the latest product developments, research and innovations in healthcare. What makes Medtec Europe such an unique event is its focus to display the entire supply chain of the Medtech production process: from Design & Development to Materials, Components and Processes, Manufacturing and Automation, Testing,Post Production and Medical Packaging, all segments are covered under the roof of the Medtec Europe. Learn today, which innovations will drive the medical device industry of tomorrow! ViVitro Labs Inc. offers industry-leading cardiovascular test equipment and related laboratory testing and consulting services. Hundreds of organizations in over 40 countries for more than 30 years have trusted ViVitro expertise, accuracy, and quality for their heart valve, LVAD, TAH, stent, and graft testing. ViVitro Laboratory Services holds ISO/IEC 17025 accreditation based on ISO 5840. ViVitro products are manufactured by StarFish Medical. ViVitro’s A2LA Scope of Accreditation includes the physical and mechanical testing of heart valve substitutes.